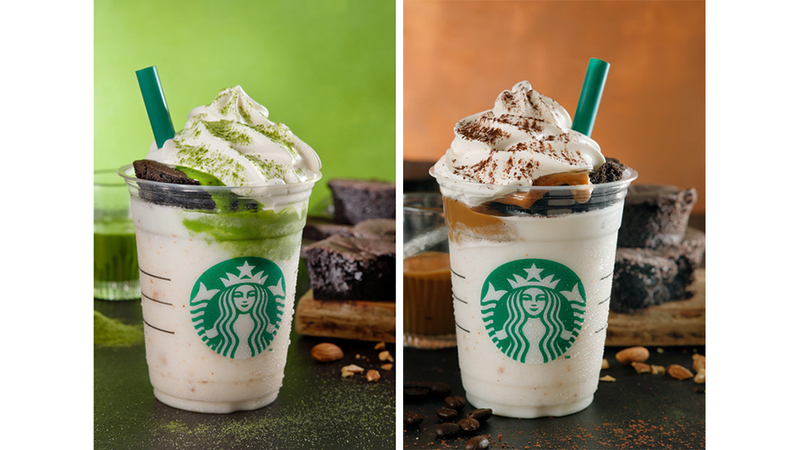 Starting today, Starbucks stores will offer two fruity and creamy new Frappuccino flavors. It's official. 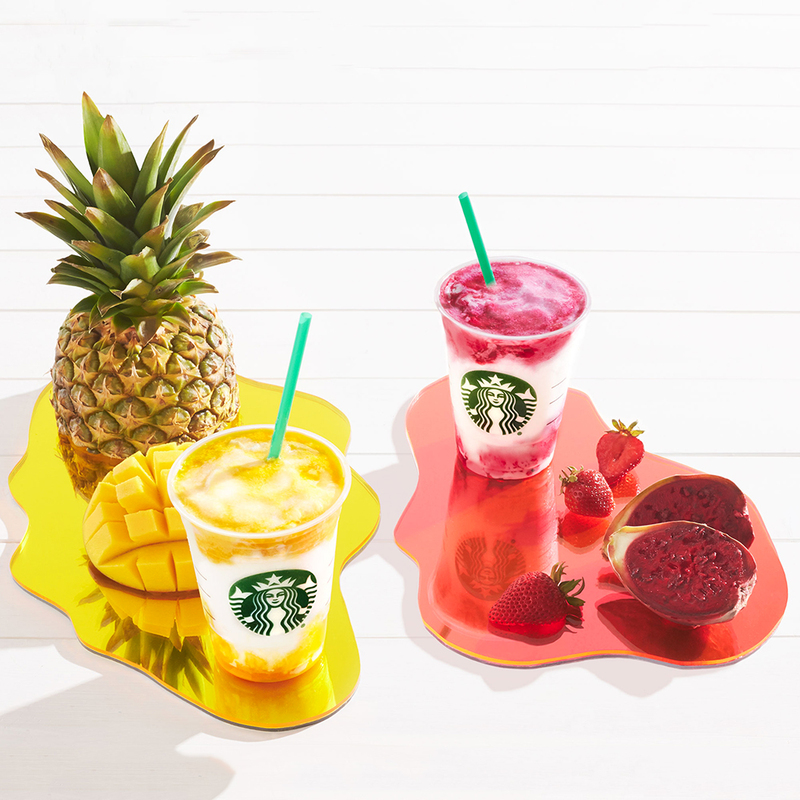 As of today, you’ll be able to taste what is sure to be Starbucks latest craze: Mango Pineapple and Berry Prickly Pear Frappuccinos – and they’ll probably make you forget all about unicorns. The Mango Pineapple flavor “starts with a mango Frappuccino blended Crème, poured over a mango-pineapple puree,” and is then finished off with another layer of the puree. Meanwhile, for the Berry Prickly Pear flavor a mango Frappuccino blended Crème is poured over a strawberry and prickly pear fruit puree, which features “subtle notes of hibiscus, passionfruit and lime,” the company wrote in a statement. The layers of fruity puree give the drinks an almost watercolored look. "The mouthwatering fruit puree forms ribbons of bright color throughout the Frappuccino, creating creamy and fruity layers of flavor as you sip the beverage,” said Jennica Robinson from the Starbucks beverage development team. The rumors began yesterday, when Foodbeast was the first outlet to break the news that Starbucks was developing two new Instagram-worthy drinks. One of their tipsters posted a photo of the beautiful creations. The blog speculated that the Starbucks could be introducing the drinks as part of their "Colors of Summer" line of beverages, though the existence of such a series has yet to be confirmed. Now Starbucks has at the very least confirmed that the drinks are indeed coming to their locations just in time for summer. The new Frappuccinos will be available at every Starbucks location in North America, but if you’re eager for a taste, you shouldn’t wait. The company warns that they’ll only be selling them while supplies last, and given how popular their specialty frappuccinos have been in the past, we don’t think these will last very long. Just remember, if you do head down to Starbucks today to get one for yourself, try to be patient with your barista.